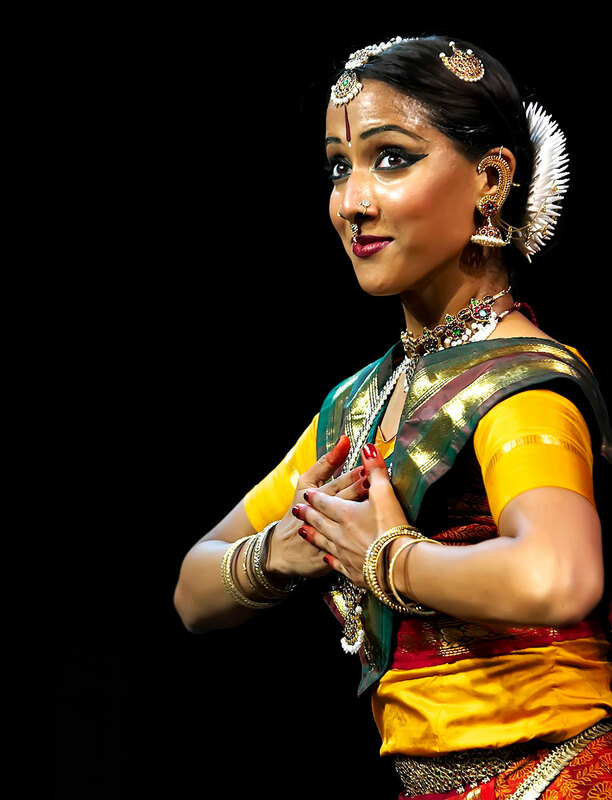 Mythili Prakash belongs to a new generation of classical Indian dancers. She is one of the most celebrated and respected young Bharata Natyam dancer/choreographers today. A second generation Indian and American artist, Mythili has positioned herself as a global and cosmopolitan artist through her unique experiences and collaborations Her repertoire is an embodiment of narratives of the many worlds that shape her. Raised in Los Angeles, she grew up in an environment filled with dance and music, under the watchful eye of her mother and teacher dance exponent Viji Prakash. Mythili began her performing career with her solo debut in India at the age of eight and has since performed extensively in prestigious venues and festivals throughout the world. She has studied with several legendary stalwarts from India, and is now under the tutelage of India’s acclaimed artist, Malavika Sarukkai. Mythili has toured her own solo productions in the United Kingdom, Scotland, France, and Singapore, the United States and Mexico. She was featured on NBC’s Superstars of Dance as a Bharata Natyam soloist, introducing her art form to all over the world. Mythili also had the honor of working with Director Ang Lee in the award winning film Life of Pi and was cast as the wife of Pi. Mythili is recipient of numerous accolades from premiere institutions of Dance and Music in India. She is a recipient of the Creation to Performance Grant from the Irvine Dance Foundation and Artistic Innovation Grant from the Center for Cultural Innovation. Nominated by celebrated dancer/choreographer Akram Khan as “choreographer of the future” for UK-based Dance Umbrella’s “Four by four commissions,” Mythili will be premiering her solo work “HERE and NOW” at their 2019 Festival. She is featured performer in Akram Khan Company’s new production “Outwitting the Devil,” which will be touring internationally in 2019 and 2020.